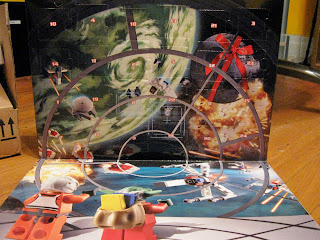 Remember our adventures with Playmobil's advent calendars a few years ago? 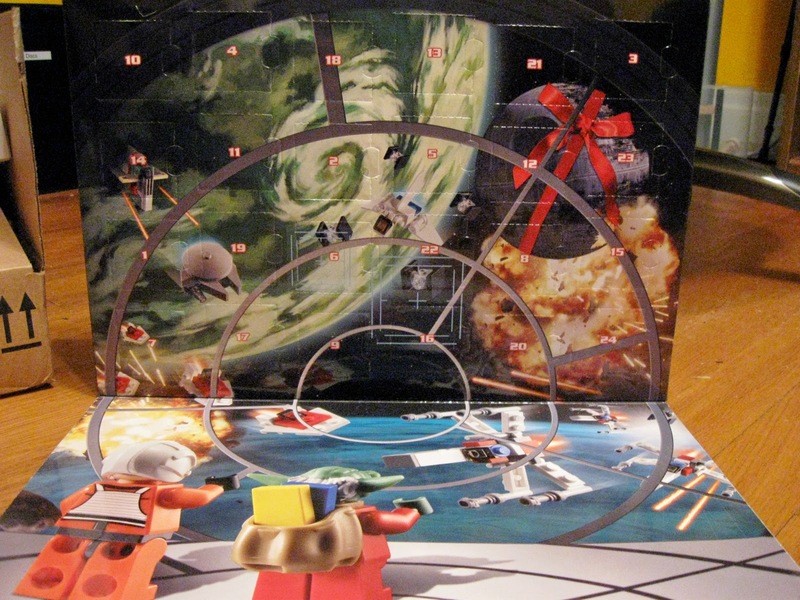 We're trying again this year...with the Star Wars Advent Calendar from LEGO! 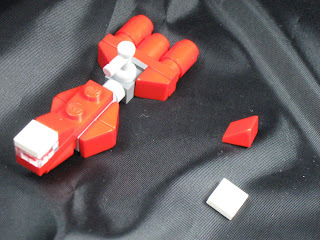 We are very excited, as Star Wars and LEGO are two of our favorite things. Let's begin! 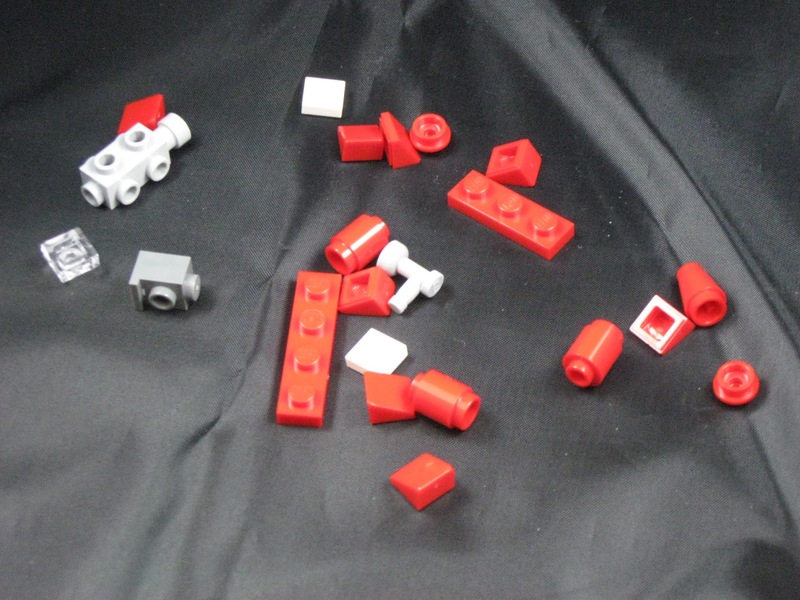 Day 1 brings us...an assortment of very small pieces. ...with two small pieces left over. Hmm. Bunny's take: "After extensive online research, we discovered Day 1's object is meant to be a Republic Cruiser (Consular Class), meant to transport Jedi and other dignitaries to trouble spots throughout the galaxy. (You may remember this from the beginning of Episode I.) 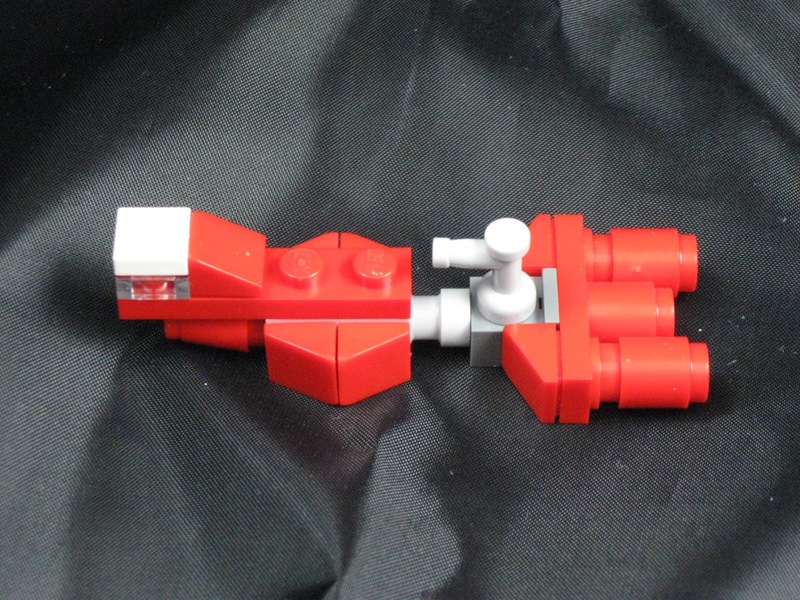 The Republic Cruiser consists of a crew of nine navigational techs and up to sixteen passengers. Our version accommodates two specks of dust and a disgruntled dust bunny which could not fit on the ship." Rating: 2.5 parsecs (out of 5). A slightly confusing start, but there's room for improvement in the days ahead. I have 2 little boys that might disagree with the 2.5 stars rating. :) First thing this morning Henry asks to play with his Lego Star Wars spaceship. I tell him no and go in the other room to do something, then I hear glass crash to the floor (luckily it did not break). He had moved the chair across the room, climbed up on the buffet and knocked a wine glass on the floor trying to get it. Then later on, he comes in ranting demanding to play with it using phrases such as, "Are you listening to me?!" And, "Do you understand me?!" and "I said yes!" While I actually had not seen Day 1's creation (Yes, I am a bad, bad mother), I can with certainty that while James knew what it was, I would have had no clue.